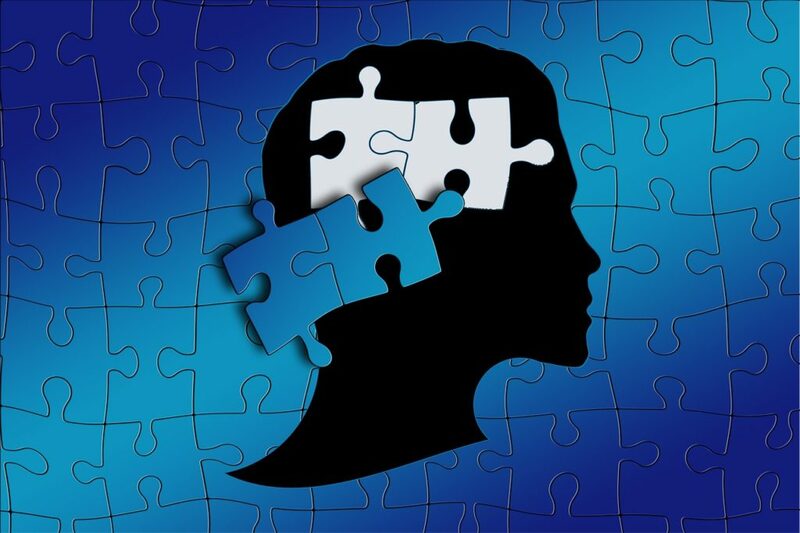 It is since 2004 that hyperbaric therapy has been in application to treat autistic patients, and there have been several reports which depict improvement in patient conditions after going through a number of sessions of this therapy. The effective benefits of HBOT have gradually raised its popularity, and in many cases it has created magic where medical therapies failed. Nowadays, parents often prefer applying hyberbaric therapy as a complementary treatment on their kids along with prescribed medications after consulting with doctors. Hyperbaric therapy is a type of medical treatment in which patients lie down inside a transparent, airtight chamber to breath 100% pure oxygen in an increased and controlled atmospheric pressure. Normally, the oxygen content in air is only 21%, which is raised during hyperbaric therapy. This is a non-invasive and painless procedure that continues for 60 – 90 minutes in each session and does not contain any major side effects. The chief purpose of this therapy is to transport dissolved oxygen in body through body fluids such as plasma, lymph, central nervous system, bone fluids etc. Normally, oxygen circulation happens in our body only through red blood vessels. HBOT aids in reaching oxygen in affected areas, and that too in high concentration, to fasten healing of damaged tissues by killing bacteria. It also reduces swelling and and promotes the growth of new blood vessels. Shannon Kenitz snatched her daughter, Grace, a patient of a rare mitochondrial disorder and repeated seizures, from deathbed with the aid of HBOT. In the beginning, she consulted several physicians and applies various therapies on Grace. 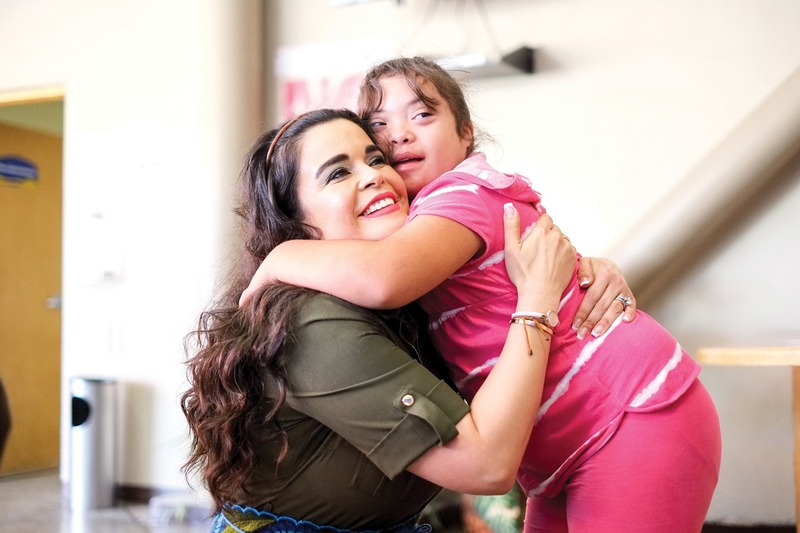 A situation came when Grace lost her vision, was on feeding tube, and could not walk. She was given 42 different medications. After three years the hospital took Grace off life support, but Shannon was not ready to accept defeat. She came to know about hyperbaric therapy and decided to give it a try. Arranging a HBOT prescription from one pediatrician, she took Grace all the way to Florida to start with the process. After 17 sessions of HBOT, Grace hold her mother’s hand for the first time. She was responding well both physically and cognitively. After sometime, Shannon had to come back to Wisconsin in order to save her marriage. After a month spending at home, the health of Grace again started deteriorating. Doctors said that there is no chance of her survival, but Shannon was firm to recover her daughter from this plight. She arranged sponsors in just three months and and opened her own hyperbaric clinic in Madison. Grace responded well to the treatment and got back her neurological function. When Daniel was only 18 months old, he was diagnosed with seizure disorder and lack of sensory responsiveness. He was also kept under double AED monitoring constantly. Unable to see Daniel’s pain, his parents consulted a neurologist who after diagnosis found out Doose Syndrome, a form of epilepsy, in Daniel. He was going through medications for AED, then was on keto diet, and finally his pediatrician recommended hyperbaric therapy for the treatment of his seizures. Daniel was given hyperbaric sessions on a weekly basis. A month of treatment and Daniel was showing significant improvements such as communicating, responding emotionally, taking part in activities etc. 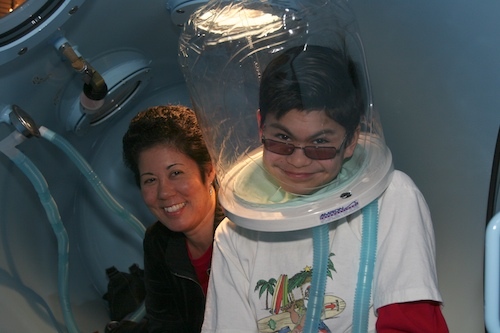 Even after completion of hyperbaric treatment, Daniel’s condition didn’t deteriorate. 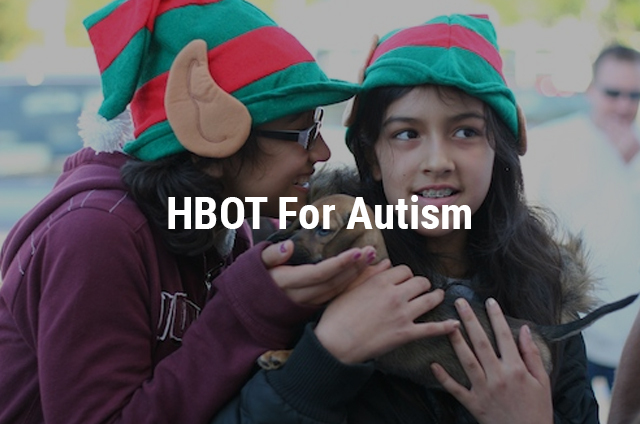 How Do Autistic Patients feel better through HBOT? Human brain gets affected when mitochondria cells’ functioning gets slower. HBOT helps in transporting dissolved oxygen in the affected areas and increases the function of mitochondria cells by regularizing blood flow in the affected areas. It also reduces oxidative stress, stabilizes cell membranes, heals inflammation, promotes angiogenesis, and improves neurotransmitter abnormalities. The dissolved oxygen reaches to the glial level, which is significant in treating brain damage. It’s a good decision if you’re thinking of trying HBOT treatment for your kid. Though this therapy is not approved by FDA in treating autism, it has shown positive results in many cases of autistic patients. 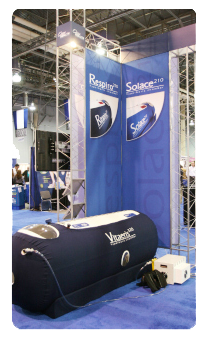 Before you opt for HBOT, please always remember to consult your doctor. Share with us your experience.